How Do You Recognise Real Deluxe Furniture? It’s easy for manufacturers to claim their products belong to the luxury range. After all, not all consumers are able to tell what exactly makes a piece of furniture, for example, be superior to similar looking ones. Luxury goes beyond the design, but it’s certain that a good design can trick you into believing it’s worth the price, even when it’s not. Learn below the top features of true deluxe furniture – it’s much more than looks. 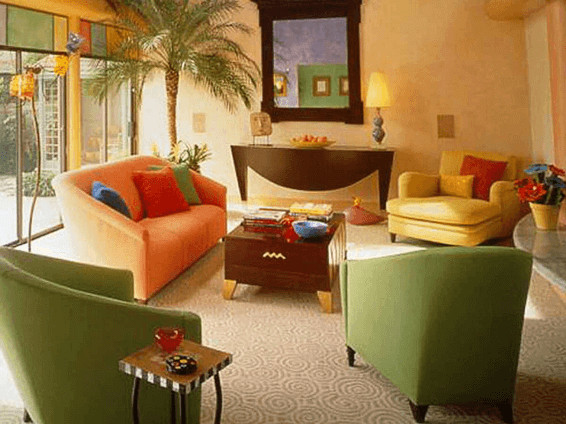 Luxury furniture and decor are all made with high quality, mostly natural materials that give them durability. They withstand the test of time and stay in good shape for a very long time. Their ‘wearability’ is impressive. On the other hand, non-luxury items are made of imitations (fake stone, fake wood etc. ); they rely on synthetic materials that mimic natural ones and the finish doesn’t last for long. Choose solid wood over particle board, for example. When compared to regular furniture, deluxe pieces rely on much more human involvement. It is the result of top craftsmanship and has unique, recognisable features. The manufacturer takes pride in mentioning this aspect and all the effort that went into a certain piece. This is also one of the reasons why such items cost a lot more. It doesn’t need to be entirely handmade, however; the difference is usually in the details. Have a look at the range of indoor and outdoor luxury furniture at Deluxe Products Sydney suppliers to see what this means and the difference it makes, even when in small amounts. How does a seller cater to the shipping aspect tells a lot about the quality of the service as a whole. The rule says that expensive, top quality items must be shipped with great care. Crating or attaching to wooden pallets are techniques, frequently employed when transporting pricey pieces. These also contribute greatly to the final price tag. In addition, the retailer will prefer one method or carrier only, as to avoid damage during transport. Retailers of cheap furniture normally allow packages to be moved from one truck to another, which implies a significant risk. There is always some kind of damage when furniture is left unprotected during transport. When you have parts that you need to assemble in order to have the piece of furniture you ordered, what does it make you think of? Cheap retailers, usually. A top tier brand will ensure excellent craftsmanship and ship the item to you in one piece, readily assembled. It won’t let its clients figure out how to put the pieces together. Most luxurious pieces follow classic patterns and are often traditional. This implies that the degree of comfort is somewhat stuck in a particular era. However, this isn’t always true. The deluxe range counts pieces, which are updated in order to provide all the comfort you would expect. In fact, these can be the most comfortable items you’ve ever tried. Couches are made of microfiber and bed mattresses feature the latest memory foam version. Since manufacturers strive to use of the best materials for the deluxe range, you can expect a heightened degree of comfort. Thus, luxury isn’t only about how it looks, but also about how it feels, how well it lasts in time and so on. Take your time to research all aspects before committing to buy your furniture.